Bali Marina Villas is a small, hidden villa resort with three private houses – where you feel at home the moment you arrive. 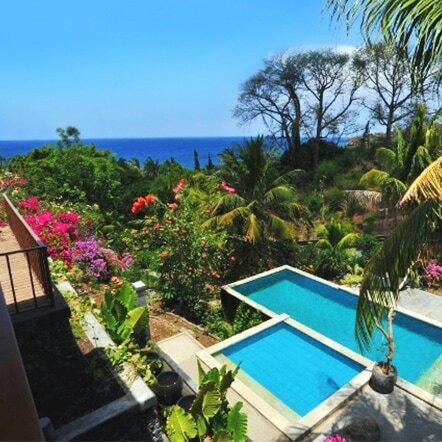 The property is located on a small hill from where you enjoy breathtaking views of the azure Ocean, small fishing boats and the nearby island of Lombok. 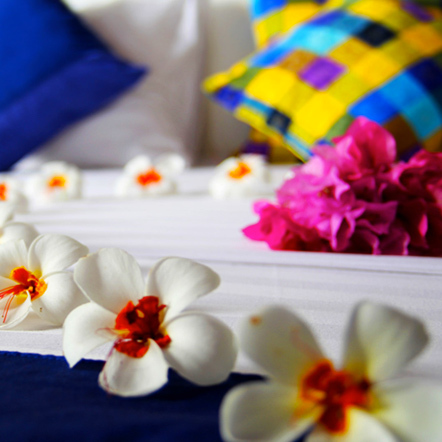 All three villas, named after the local tropical flowers Bougainvillea, Frangipani and Hibiscus, are nestled into the lush garden with small rice terraces and palm trees. The sounds of tropical nature will calm your mind. Our intention was to create a logo that makes the compound of solid typographical forms and subtle decorative elements. 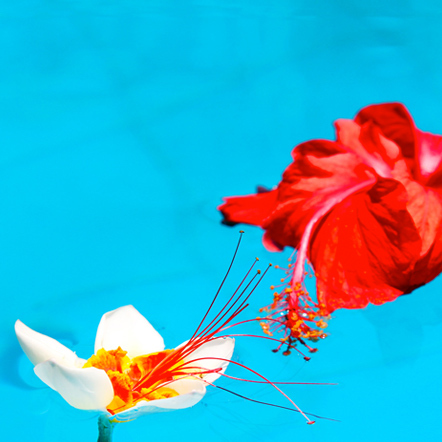 Beautiful tropical flowers of Bougainvillea, Frangipani and Hibiscus are the key parts of our logo. 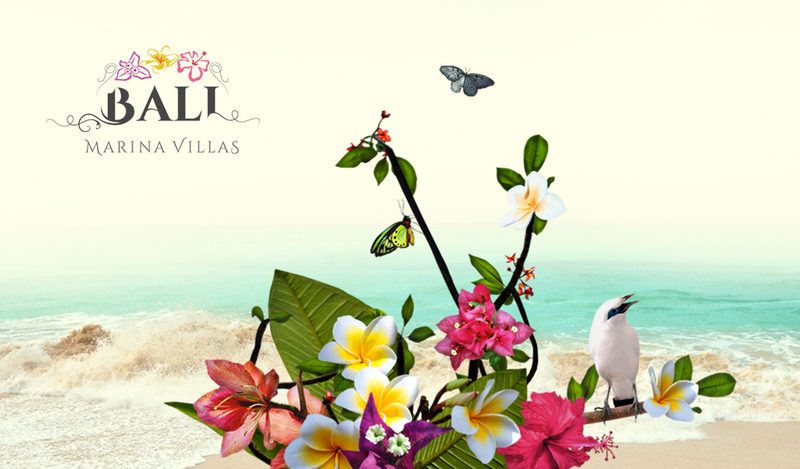 They are also the symbols of Bali Marina Villlas, each one represents one villa and it was named after it. Bright colors and elegant lines form the right balance. We added a bit of extra light and stronger contrast of colors, just for better depicting the atmosphere of Bali’s beautiful nature. Creating the whole concept for Bali Marina Villas was very inspiring from the first moment. 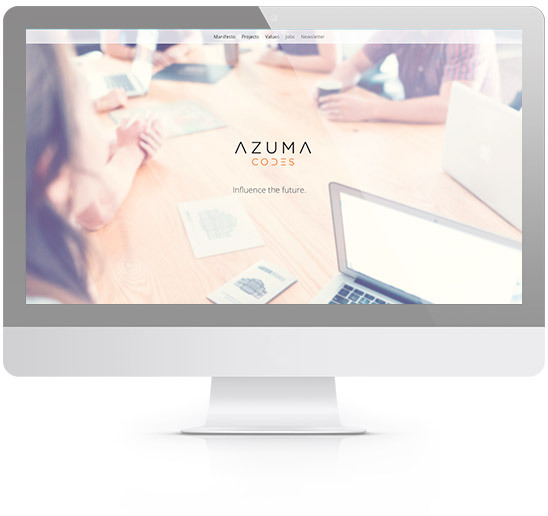 We created very clean and simple design for our clients, so that all attention was focused on photographs. Customers can also navigate very easy through this website and get all the necessary informations on all devices. 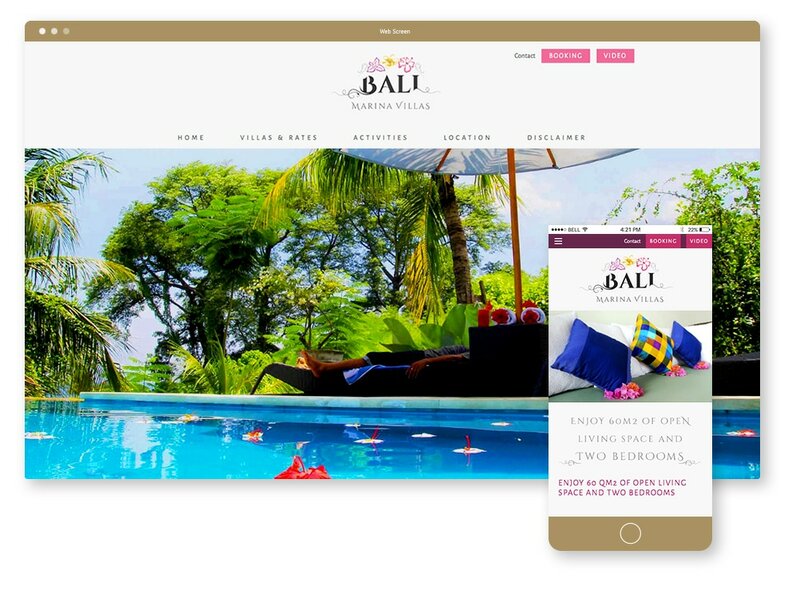 Bali Marina Villas is offering the facility of online booking / reservations to their guests, so the website contains a form for booking inquiry.